History had its eyes on "Hamilton," but the musical came up just short. 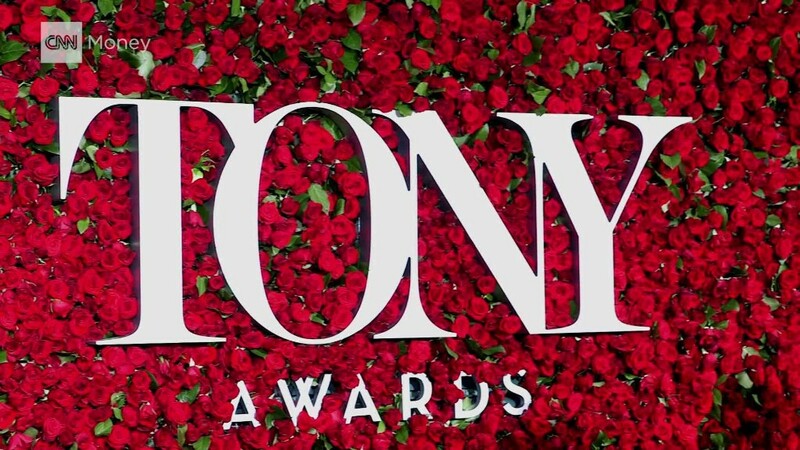 The Broadway smash won 11 awards at Sunday's Tony Awards coming up one short of the record for the most Tony awards, which was set by "The Producers" in 2001. However, the hip hop musical did win the big prize of the night: Best Musical. Lin-Manuel Miranda's musical about the life of Founding Father Alexander Hamilton also won for Best Lead Actor in a Musical, and just like the history books, Aaron Burr bested Hamilton. Leslie Odom Jr., who plays Burr in the show, won the award over Miranda, who plays Hamilton. The show also won for Best Book, Best Featured Actor in a Musical, and Best Original Score, among other awards of the night. It also put on two performances back to back of "History Has Its Eyes On You" and "Yorktown (The World Turned Upside Down)." The performances were introduced by President Obama and First Lady Michelle Obama. In the show's performance of "Yorktown," which recreates the Battle of Yorktown from the American Revolution, the cast decided to not use prop guns. Instead, the cast pantomimed the performance's use of muskets during its battle sequence. This was in response to the mass shooting that took place in Orlando on Sunday morning. The Orlando attack was the deadliest mass shooting in U.S. history with 49 victims. The initial death toll of 50 released by authorities included the gunman.